A road climbing up to an isolated house overlooking a colorful valley. I always dreamed of an isolated haven with a beautiful view. I think I captured that feeling in this fantasy painting. I embraced painting over thirty years ago while battling cancer at a young age. Painting became an essential vehicle to express my utter joy and appreciation for the beauty of this precious world. My paintings are predominantly impressionistic, but some are whimsical and expressionistic. My subjects are primarily floral, landscapes and realistic portraits. Media choices include oils, acrylics, water color, ink charcoal, and pencil. 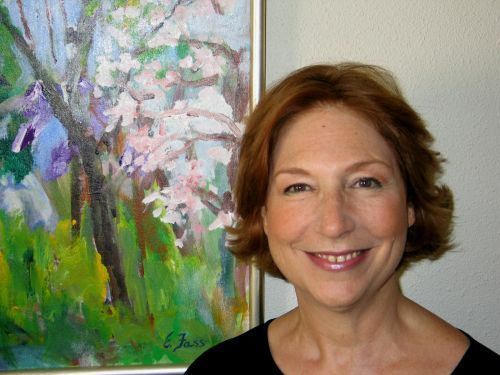 My paintings are held in private collections in the U.S. and in Israel. Signed and numbered limited edition Giclée reproductions are now available for purchase.